We take pleasure to introduce ourselves as one of the renowned firms for providing the best-in-class range of LED Cob Zoom Light. 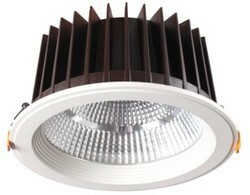 - Recessed LED Zoom Light with cold forged heat-sink housing powered by constant current wide input voltage LED driver. In our extensive product range, we are highly engaged in manufacturing, exporting and supplying a quality-approved range of LED COB. 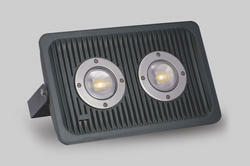 - High performance 120 Lumens to 160 Lumens per watt. Our entity is actively involved in providing a wide assortment of Round LED COB Downlight that is widely well-liked in the market. - Is super Slim and need only very little space. It is having the highest light beam strength .LED chips are directly attached to a highly thermo –conductive aluminum PCB (Citizen Electronics factory fitted) thanks to the excellent heat transfer.